Ten reasons to be hardhearted toward Ridley Scott’s biblical epic. There is no question that Hollywood knows how to make big, beautiful, epic, blockbuster movies with wide appeal. In that regard they are second to none. 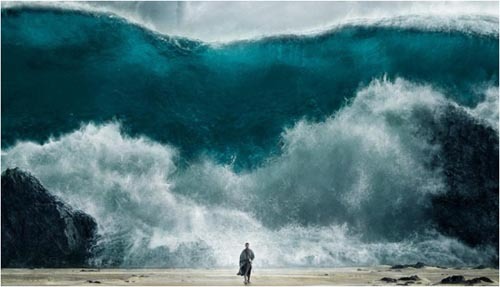 With the release of the recent Biblical themed movies – the latest of which is Exodus – Gods and Kings by Ridley Scott, the question for Christians is has Hollywood learned, or more appropriately, recalled how to do Biblical themed movies that Christians will both enjoy and approve of? I say ‘recalled’ because of course Hollywood used to know how to make such movies. Anyone who has seen Cecille B. DeMille’s Ten Commandments understands why it is regarded as the standard against which every other Biblical epic is judged. To answer the question: no, Hollywood has not learned or has chosen not to recall how to make movies Christians can both enjoy and approve of. If Exodus – Gods and Kings is the gauge, then it’s clear Hollywood remains clueless in this regard – or perhaps more appropriately – remains willfully antagonistic toward the Christian messages inherent in Biblical themed movies. For Ridley Scott, director of films such as Gladiator (2000), Hannibal (2001) and American Gangster (2007) the account of the exodus is just another story. He could not possibly care less if it is a Biblical story that has theological meanings, symbolism and message. He doesn’t care if it is cherished by Jews and Christians the world over. He’s a story teller, and he’s going to do it his way. And do it his way he did. After viewing the movie I sat down and wrote over 3 dozen inaccuracies and problems (from a Christian perspective) in the film without having to look hard or dig for them. What follows are what I consider to be 10 of the most egregious. After that I’ve included commentary on the ten reasons that Brett McCracken thinks it’s okay to see the film. Spoiler Warning: – Many parts of the film are discussed – but if you’re familiar with the Exodus account, not much should be a surprise – other than the many changes Scott made. Part II. Brett McCracken’s “Ten reasons to not be hardhearted toward Ridley Scott’s biblical epic” – in italics, followed by my comments.